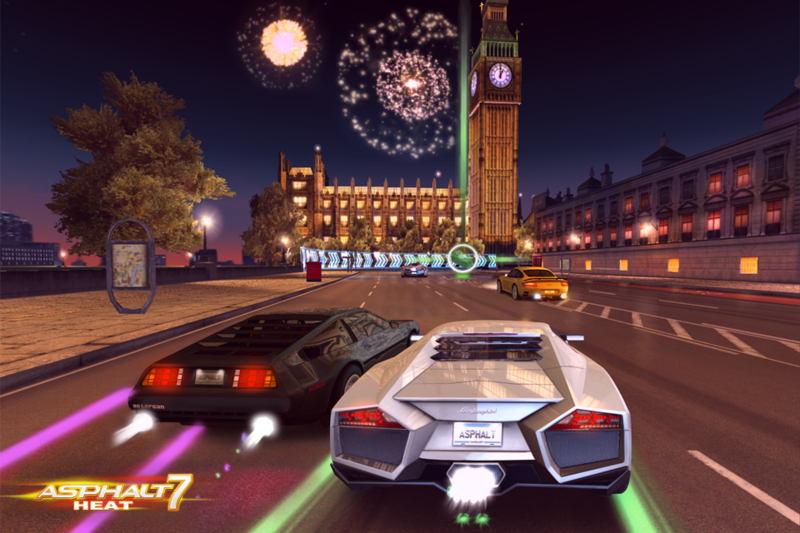 Asphalt 7 Heat is one of the premier racing games from Gameloft, there's a lot of graphical power behind this app and for all you graphics geeks and programmers out there we've researched what makes Asphalt 7's graphics so good on the new iPad and especially on Tegra 3 Android devices. BREAKING NEWS: As of 28 September this racing game is being heavily discounted on Google Play. At the moment the graphics of Asphalt 7 are some of the best that programmers have been able to squeeze out of the new iPad ( still no bikes here though we'd love to see how good a set of michelin motorcycle tires looked on the retina Display). Expect the usual blur, depth of field and lens flare. But it really does start to come close to this generation of consoles graphics with some beautifully rendered environments. Gameloft's genius's have been very close lipped when it comes to what makes Asphalt 7's visuals so extraordinary on the new iPad , suffice to say that they're currently pushing the iOS beast's Quad core graphics chip to the max with users having to choose between various settings to get the best performance from the game. A toss up between frame rates , draw distances and special effects. Luckily we've been able to find more in depth info about how the game's graphics are utilised by Tegra 3 Android devices. As we all know some of the most cutting edge Android games are coming out on Tegar 3 devices and while Asphalt Heat is not a Tegra exclusive it still gets a lot out of the graphics chip. -The car reflections in the garage are just another great effect. No hope in using the High map mode which includes higher detailed tracks with better textures and buildings' window reflections, because its killing the frame rate-this is the same type of consideration behind the game on the new iPad.